I found an old pencil sketch in my dummy and I decided to make a colored illustration of it. It was fun to paint digitally again, should do this more often but I don't always have the time to do it. I moved into a new office space last week. I'll be sharing it with my goods friends and (former) collegues Jessy Suharyanto and Erik Butter (a.k.a. Smeerik). It's good to be out of the house and have work and private life separated. I'm happy to announce that we're open for collaboration! We can do bigger projects and do it 3 times as fast, so bring it on! Also, last week the Woezel&Pip film I worked on, got the Golden Status! Which means it reached more than a 100.000 visitors in just 2 weeks (the Netherlands has 17 million inhabitants, so 100.000 is a lot in this country). Here's a picture of the big boss, former dutch rock-singer Dinand Woesthoff, with the 'Golden Film' in his hands. Last sunday I went to the premiere of the film "Woezel & Pip: Op zoek naar de Sloddervos!" which I have worked on in the past year as a senior animator. It was my seccond time I had to walk the red carpet for a feature film, but this was the first time there was a whole line of press-photographers and camera's there. 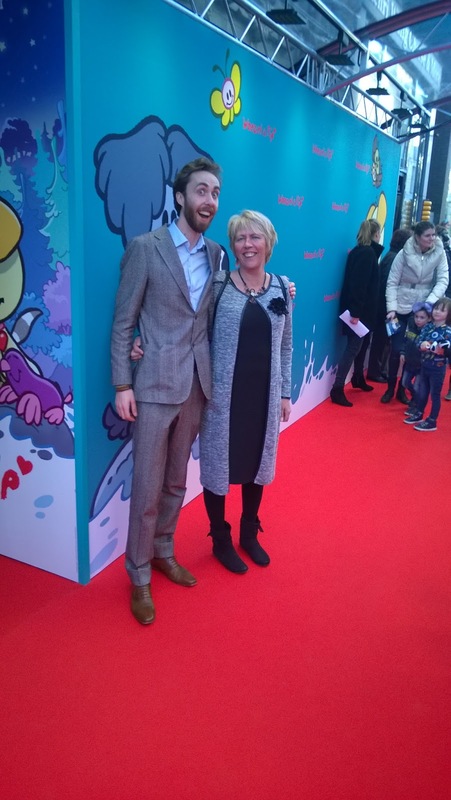 It was much fun to walk among some dutch celebrities together with my mum (photo above) and collegues. The film was received good by all attendants, kids and grown-ups, and because it's such a famous merchandise here in the Netherlands, it will probably make lots of money at the box-office. It will surely be a great (first) movie experience for 2 to 6 year olds, I'm sure they will love it! It will be in Dutch cinema's today, 20th of January 2016, so grab your tickets and enjoy! I am now looking to work on new projects! 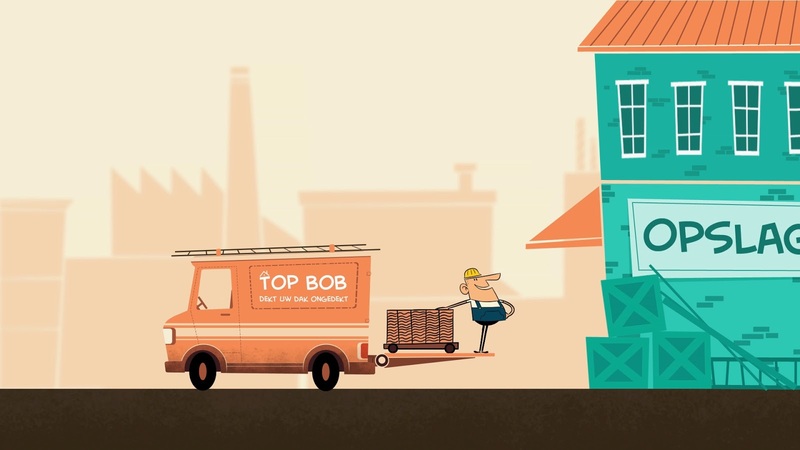 WOEZEL & PIP: OP ZOEK NAAR DE SLODDERVOS - Teaser from SPARK Trailers on Vimeo. 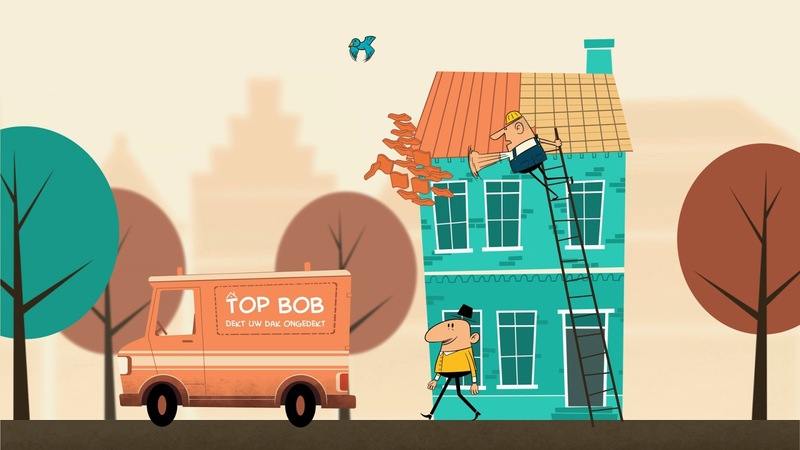 The animation is almost done and the film will be released on January the 20th 2016 (In dutch cinema's). After this film I am planning to start my own project together with my mate and current 'collegue' Dennis de Bruin. 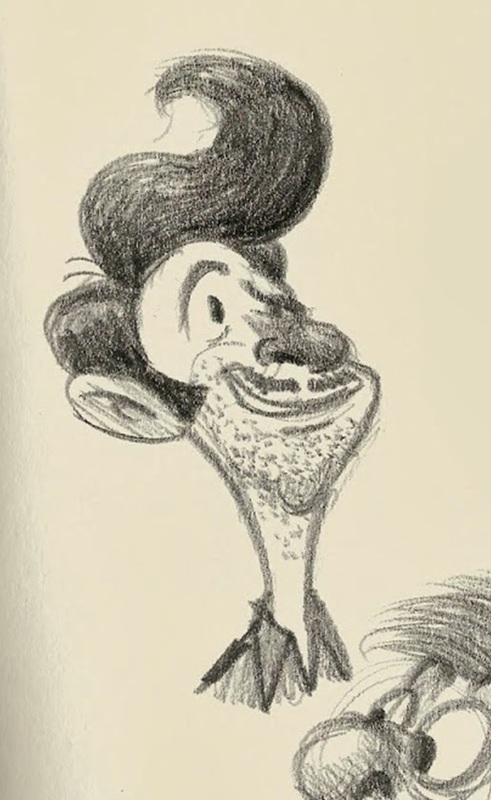 We are going to write and (hopefully eventually) make a short animated film together in 2016! I'm proud to announce that today I started working on the second feature film in my carreer. 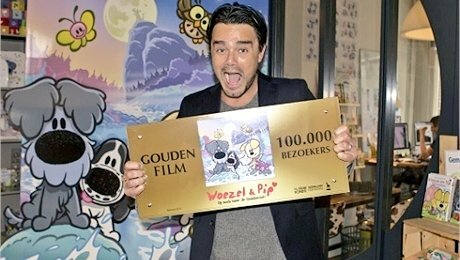 After the succes of the Woezel & Pip TV series (which I did from December untill March 2015), I will now be working on the Woezel & Pip: Op zoek naar de Sloddervos (it's dutch but I can't really translate) untill somewhere in October 2015. 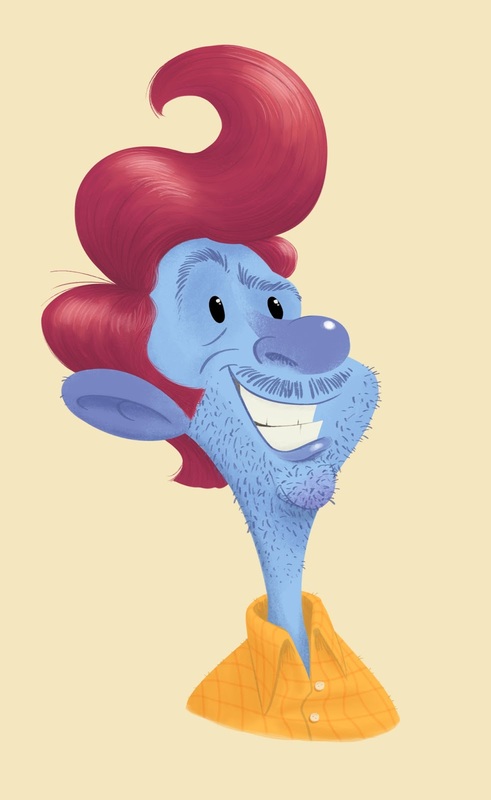 I also got promoted from 'junior animator' to 'senior animator', hurray! 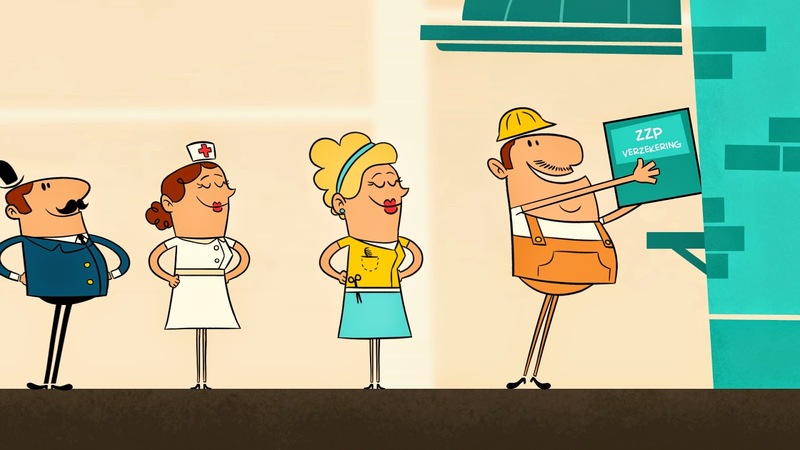 In the meanwhile, between the series and the film, I helped dutch animation collective Frame Order with some cool smaller projects, as a character animator. This includes 8 short explanimations for a dutch TV show called Radar and some intro films for an educational app. 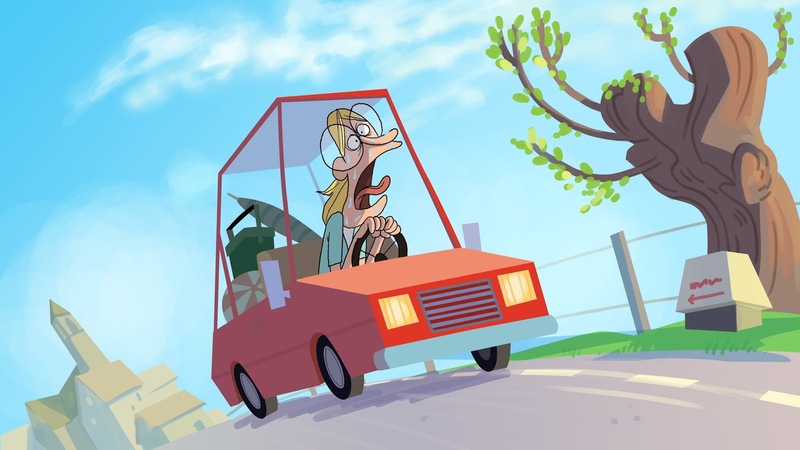 I'm very happy to tell you that I'm currently working on a TV-series called "Woezel en Pip" (Or "Woolly and Pip" in English) untill somewhere in March or April 2015. It's a pre-school animation series animated in Anime Studio Pro (digital cut-out technique). It's great to be part of such an amazing team of animators here in the heart of Utrecht. Some are old colleague's from Trippel Trappel, some are freshly graduated and some have been in the business for a while. The series is very well known in the Netherlands, but is also being sold to England, Germany and Japan (amongst others). And before I started this project, I've been doing a lot of smaller projects including character animation for Joost Lieuwma's new film called "Paniek" which is promising to be a very cool short film. Keep your eyes open at animation festivals, I'm sure it will be in the official selection of multiple festivals! I also decided to invest in a studio/office space, so I won't have to work at home anymore. 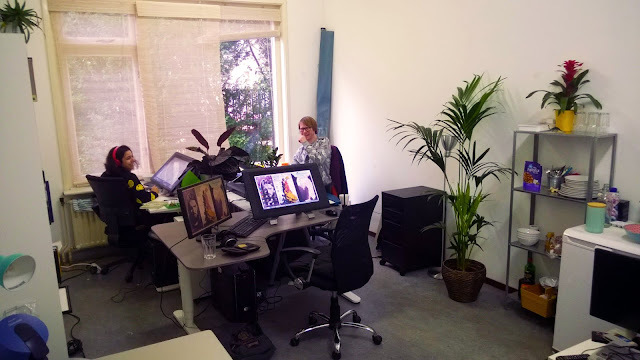 So last October I moved my desk to a place called "De Animatietuin" (Animation Garden) in Utrecht. 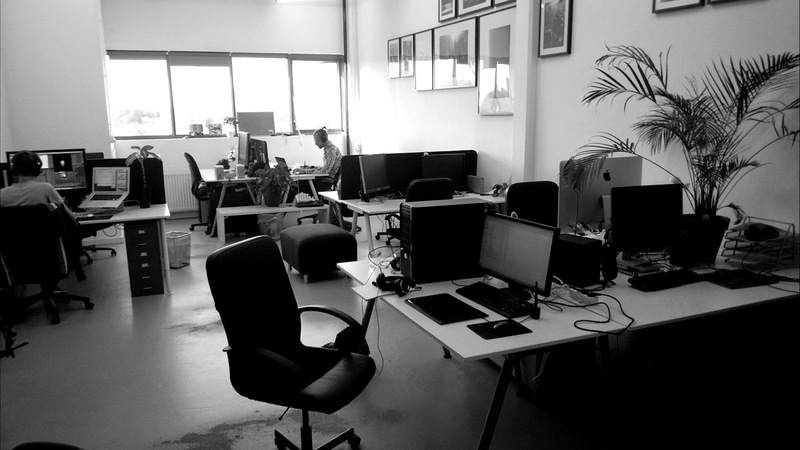 It's a very nice spot which I rent with 7 other dutch animators/motion designers. I did an infographic last June about insurances for freelancers (I can not name the company unfortunately). Below are some stills of the 2 minute film. 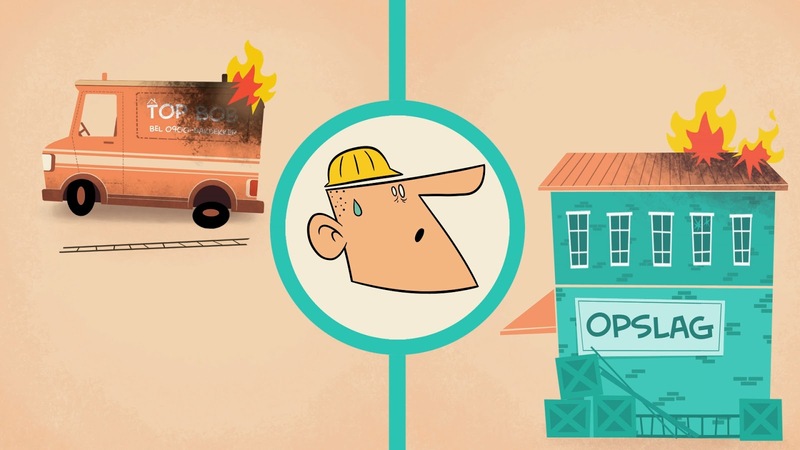 I did it all by myself from start to finish and animated it frame-by-frame mostly. I'm very glad with the results, but unfortunately I'm not allowed to put it online, because they bought an exclusive License. However I will probably put some shots of this film in my next showreel (I'm allowed to do that luckily). Tom Mourik 2013. Awesome Inc. theme. Powered by Blogger.